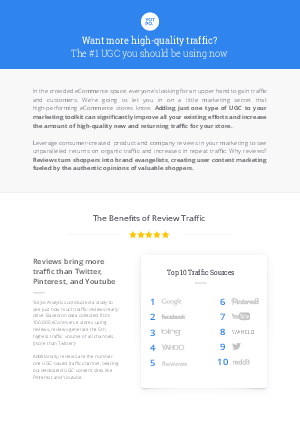 Leverage consumer-created product and company reviews in your marketing to see unparalleled returns on organic traffic and increases in repeat traffic. Why reviews? Reviews turn shoppers into brand evangelists, creating user content marketing fueled by the authentic opinions of valuable shoppers.